Sometimes you need a small, lightweight bag for a day trip. Or maybe you want a carry-on that always fits under the seat. The Samsonite Mightlight Boarding Bag is targeted at those needs. But how does its unique pocket design work out? And is it worth the Samsonite price tag? Read this review on the Samsonite Mightlight Boarding Bag to find out. When it comes to my features score, I base the score on the product’s targeted market and price. Obviously, more expensive designer totes and carry-ons can be found with extra features like TSA locks, wheels, and retractable handles. Oh, and look more designer-ish. But this tote, or bag, is targeted at day trips and business travel. Not the fashionable market. Nor the high-end market. That being said, it does lose points for the back sleeve not being large enough to slide over many suitcase handles. It’s just too small. And it’s a basic that I feel all small luggage should have. So that’s a major feature point reduction there. 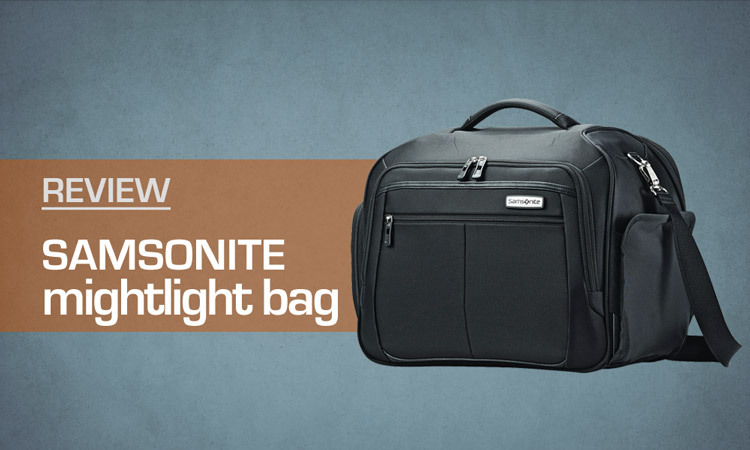 The Samsonite Mightlight bag is crafted from a durable nylon/polyester fabric blend. The material is stiff enough to keep its shape when empty, but still highly flexible. As with post nylon luggage, the fabric is easy to clean. As with most Samsonite luggage, it appears that it can take a good beating and still look great. The fabric blend is also water-resistant, so in the event of rain the bag keeps your items dry. It has a top grab handle for easy lifting and an adjustable shoulder strap that makes it comfortable to carry. As you can see from the pictures, the shoulder strap is detachable (I actually prefer using it without the shoulder strap). Now, there is a back sleeve so you can slip the bag onto a roller suitcase. HOWEVER, the back sleeve is somewhat small and does not fit so easily on some handles. This is disappointing. Does it fit on some? Yes. But if your handle grip is a bit thicker you may find it a challenge. The exterior pockets help keep everything organized. The largest front zipper pocket is great for storing chargers or other cables. Within that large front zipper pocket are a couple other small pockets good for passports, a cell phone, or anything you want easy assess to. There is also another smaller zipper pocket on the front you could store documents and other flat items in. 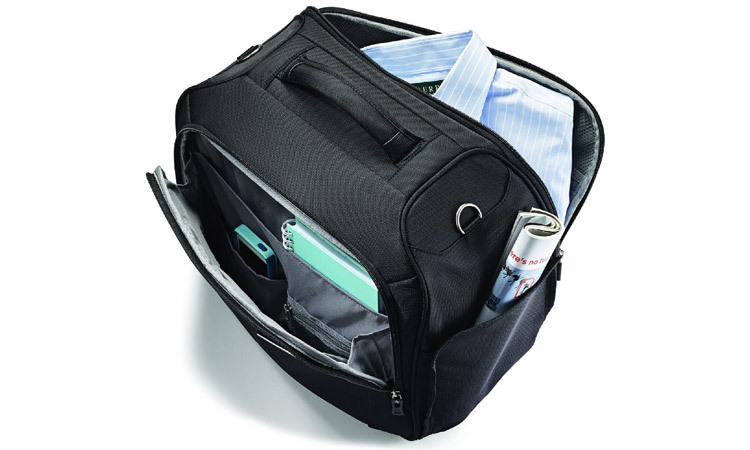 On one side of the Samsonite Mightlight, there is a convenient zipper-free pocket. This pocket works well for a bottle of water, snacks, trash, and etc. 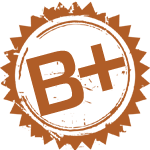 Brown is definitely my favorite of the 3 colors. It’s a great neutral color that looks more modern than black. Of course, black will hide dirt better. The berry is a red color with a very slight tint of purple (at least to me). But still, it looks gender neutral and professional. I’m impressed with how roomy the Samsonite Mightlight’s main compartment is. It could honestly fit clothes for a 2 days, along with other necessities. Ok, maybe for us guys it can fit 2 days’ worth. But for those who pack heavier, you should have no issue packing for a day trip. One unique thing that you may notice is how the main compartment is accessed. It actually opens from the side. Of course, when packing or unpacking you can sit the Mightlight on it’s side so that the compartment is facing up. This design can work to your advantage if you use the tie-down straps for your clothes. Then you can place items you may need on top of that. This way when you go to open the compartment while the bag is standing up, you can quickly pull it out. This works great if you don’t want your laptop in the tighter front compartment, or you have a thick book that you may want to pull out. 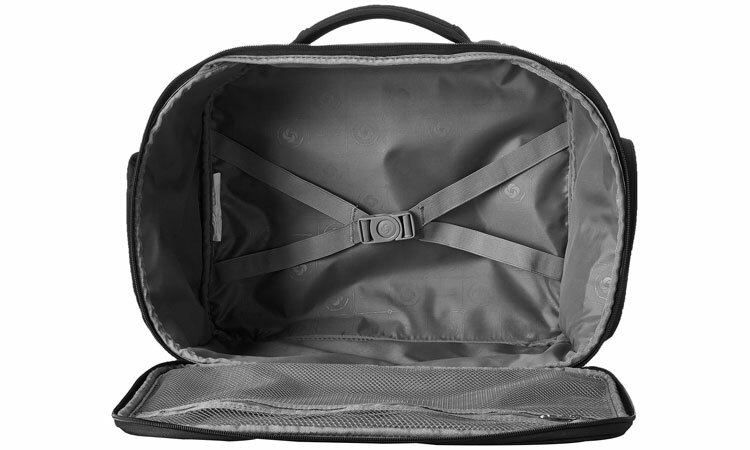 Both the main compartment and the smaller front compartment are big enough to fit a 13″ laptop or tablet. I personally find the front compartment great for this, as you can slide out your tablet while it’s tucked under the airline’s seat. The fully lined interior is soft and flexible. It includes the important feature of the crisscross tie-down straps, so everything can stay organized and neat. I do wish there were a couple more pockets inside for extra organization options. But there is a handy zippered mesh pocket underneath the lid of the main compartment. This is great for storing bagged toiletries and such. The Samsonite Mightlight bag’s durability is unquestionable. The water-resistant nylon/polyester fabric blend make it very sturdy and dependable. It’s easy to wipe clean and keep it looking new. The material is also flexible and can take a beating without wearing out. The handles and zippers seem to be well made and should hold up well. As I went through online reviews, I saw practically no complaints from consumers about the Mightlight’s durability. This boarding bag lives up to the reputation of Samsonite. The only reason that I am not giving it a 100 in the durability score is because it’s much easier to make a durable product when there isn’t any wheels or a retractable handle. 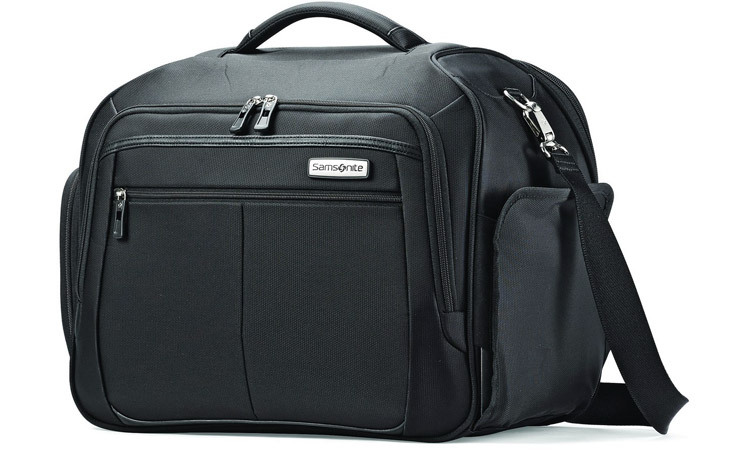 The MSRP of the Samsonite Mightlight Boarding Bag is $90, but can be snagged online for around $50. The MSRP is unreasonably high and the Mighlight is NOT worth that much. But if you can find this bag on sale, then it really is a great deal. A comparable, yet cheaper bag will most likely not hold up as well and as long as this Samsonsite luggage. Samsonite’s 10 year warranty also greatly add to the Mightlight’s value. 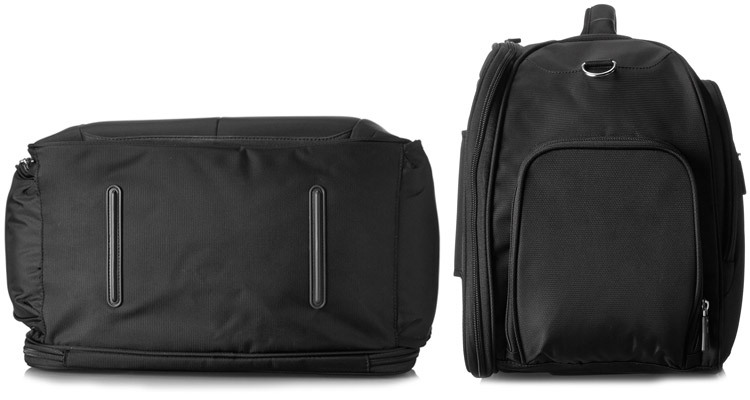 Packed to its full potential, you may not be able to slide this bag under an airplane seat. American Airlines states, “Dimensions for a personal item must not exceed 16 x 14 x 12 inches.” The Samsonite boarding bag is 16.5″ x 12.75″ x 8.75″. Technically the Samsonite Mightlight is half an inch too tall. The reality is, though, that you can just push it down to fit under the seat. Just be mindful that if you pack this baby to the brim, you will struggle sliding it under the seat. The Samsonsite Mightlight Boarding Bag is great for day trips and business trips by air, and can be found on Amazon. 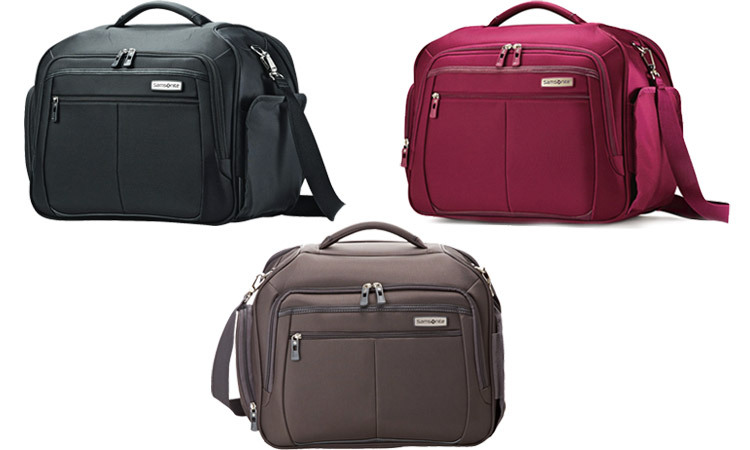 Samsonite’s luggage offers a roomy main compartment and a decent number of secondary pockets. The design is durable and professional, although not the most stylish. If grabbed on sale, the Mightlight bag is a great value. Check out the Samsonite Underseater for a wheeled underseat option. However, the Timbuk2 Copilot is still my favorite carry-on or for weekend getaways.